With those harsh words, the hated Sasanach earl decided Bríghid's fate: Her body and her virginity were to be offered to a stranger in exchange for her brother’s life. 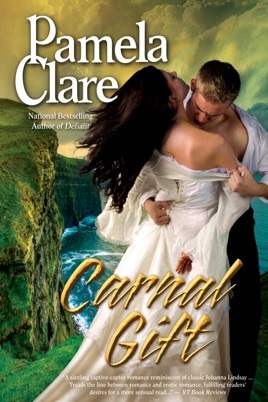 Possessing nothing but her innocence and her fierce Irish pride, she had no choice but to comply. But the handsome man she faced in the darkened bedchamber was not at all the monster she expected. His green eyes seemed to see inside her. His tender touch calmed his fears while he swore he would protect her by merely pretending to claim her. And as the long hours of the night passed by, as her senses ignited at the heat of their naked flesh, she made a startling discovery: Sometimes the line between hate and love is dangerously thin.